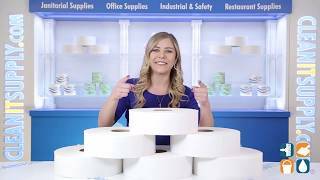 GEN Toilet paper is the perfect option for any business on a budget. Keep your restrooms fully stocked with high-quality, value-priced GEN tissue. Ideal for use in high traffic restrooms. 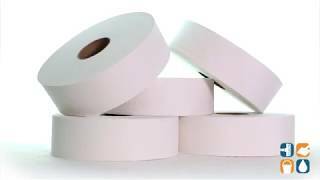 The jumbo roll lasts longer than average size rolls, reducing run-outs and saving on maintenance costs. Smooth and absorbent, you will never know this is a budget-friendly toilet tissue. Fits all JRT jumbo-roll-tissue dispensers. Order GEN Jumbo Toilet Paper today and save. Buy in bulk for your business and save even more!